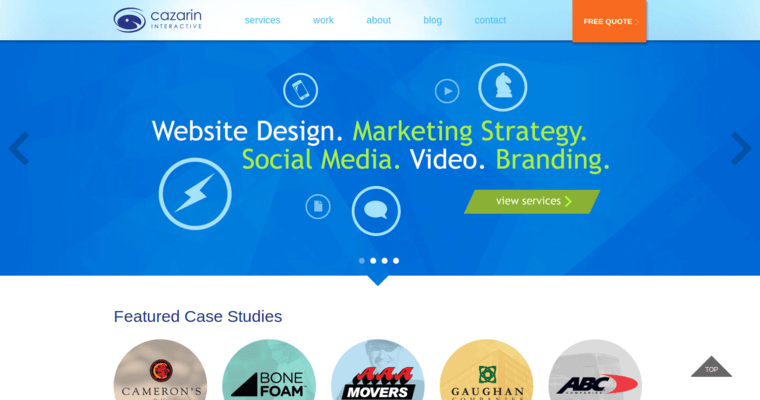 Cazarin is a web design firm committed to principles of communication, collaboration, connection, and community. 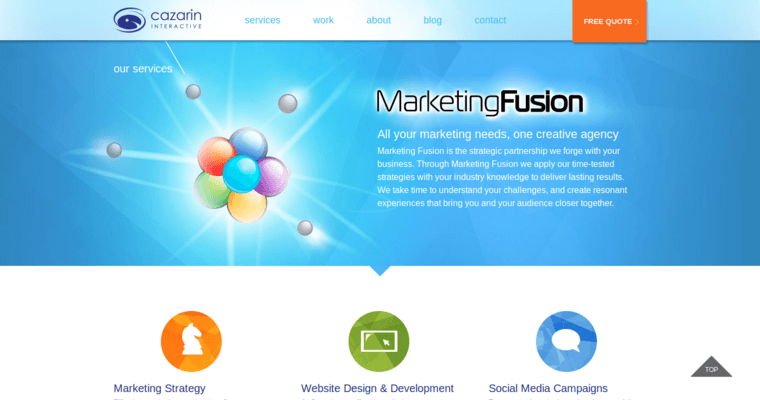 To make things happen on behalf of our clients, we adopt a synergistic approach to the world of internet marketing by offering several helpful, business-building tactics and techniques that will make your brand increasingly visible. Some of the strategies we're skilled in offering include social media optimization, link building, online reputation management, content creation, and mobile optimization. 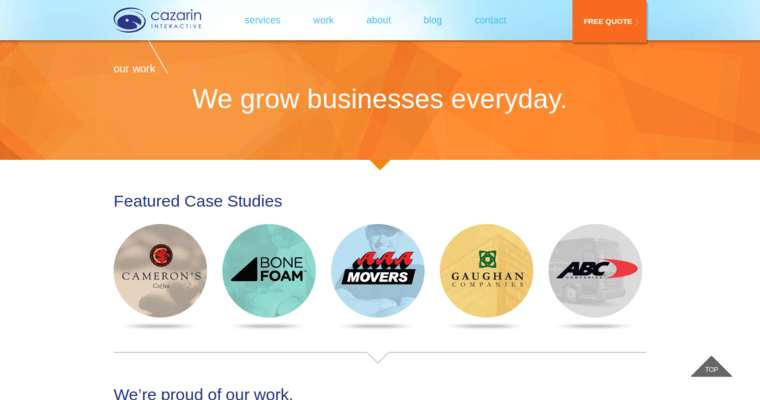 If you're interested in facilitating long-term success and a growing body of loyal customers, Cazarin is the company to call. Our team is comprised of brand specialists, developers, geeks and dreamers who are passionate about thinking big and realizing the client's objectives.